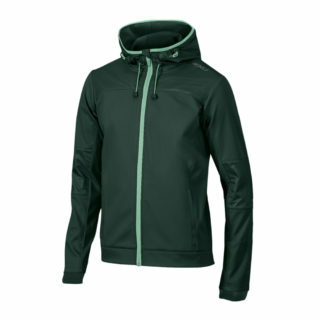 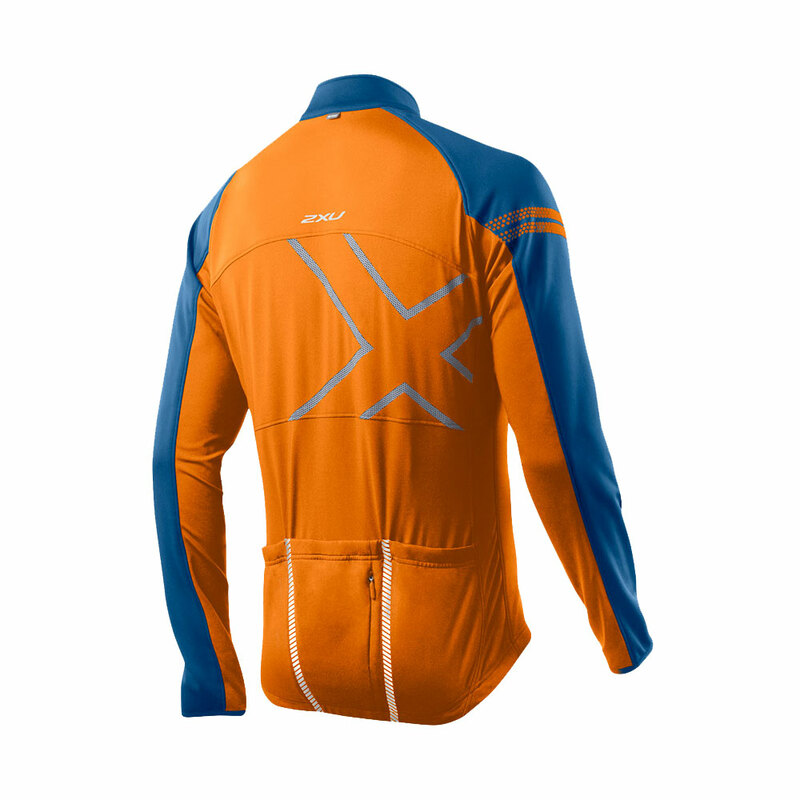 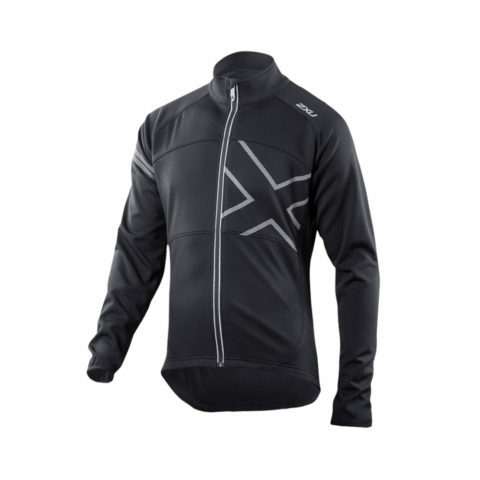 This Wind Break 180 Cycle Jacket represents high performance engineering. 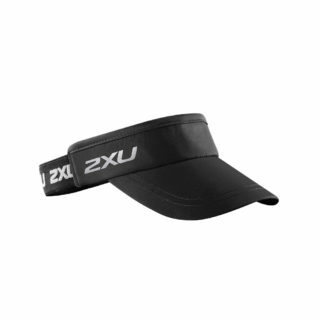 2XU’s flexible 10:10 XSTRETCH membrane provides a shield against the elements and traps heat while remaining breathable for comfort. This impressive Wind Break 180 Cycle Jacket represents outstanding high performance engineering. 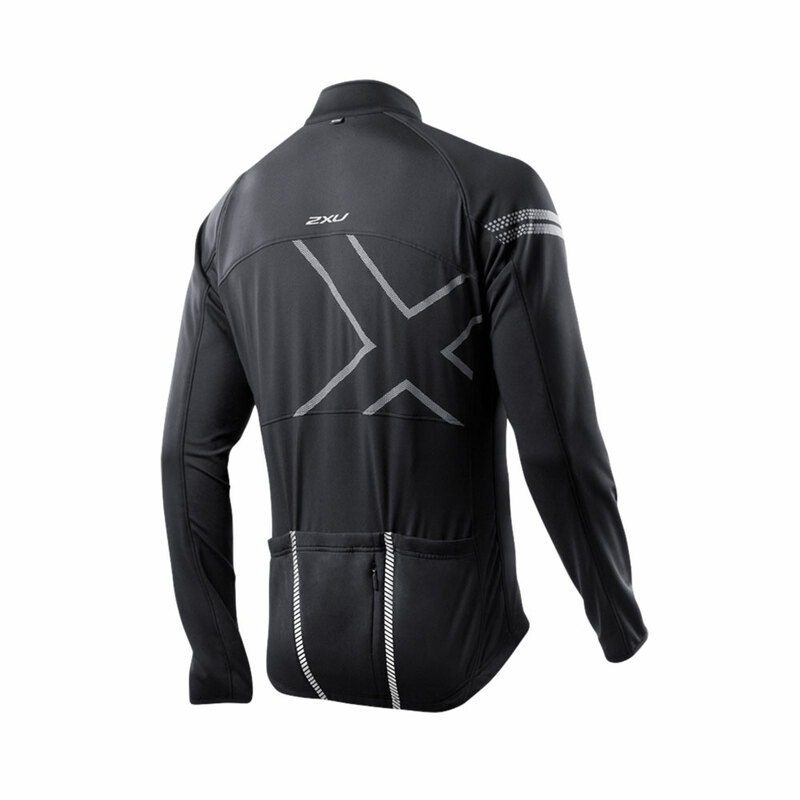 2XU’s flexible 10:10 XSTRETCH membrane provides a front shield against the elements and SMD THERMO BRUSHED fabric traps heat while remaining breathable for comfort. With reflective prints, angled pockets, an elastic rear hem and stretch polyester internal sleeves, all cool climate cycle demands are addressed.